Registration -You may register for any available class at any time. Our classes are based on a continuous learning system with no starting or ending point. Tuition -Our tuition fees are monthly and based on an average of 4 classes per month. 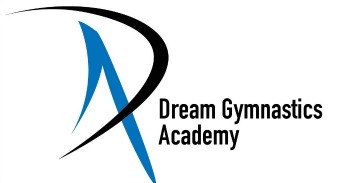 In consideration of participating at Dream Gymnastics Academy, I represent that I understand the nature of this activity and that I am qualified, in good health, and in proper physical condition to participate in such activity. I acknowledge that if I believe event conditions are unsafe, I will immediately discontinue participation in the activity. I fully understand that this activity involves risks of serious bodily injury, including permanent disability, paralysis and death, which may be caused by my own actions, or inactions, those of others participating in the event, the conditions in which the event takes place and that there may be other risks either not known to me or not readily foreseeable at this time; and I fully accept and assume all such risks and all responsibility for losses, cost, and damages I incur as a result of my participation in the activity. I hereby release, discharge, and covenant not to sue Dream Gymnastics Academy, its respective administrators, directors, agents, officers, volunteers, employees, other participants, any sponsors, advertisers, and, if applicable, owners and lessors of premises on which the activity takes place, (each considered one of the "RELEASES" herein) from all liability, claims, demands, losses, or damages, on my account caused or alleged to be caused in whole or in part by the negligence of the "releases" or otherwise, including negligent rescue operations and future agree that if, despite this release, waiver of liability, and assumption of risk, I, or anyone on my behalf, makes a claim against any of the Releases, I will indemnify, save, and hold harmless each of the Releases from any loss, liability, damage, or cost, which any may incur as the result of such a claim. I have read the RELEASE AND WAIVER OF LIABILITY, ASSUMPTION OF RISK, AND INDEMNITY AGREEMENT, understand that I have completely and unconditionally released all liability against the parties to the greatest extent allowed by law and agree that if any portion of this agreement is held to be invalid the balance, notwithstanding, shall continue in full force and effect. I HAVE READ AND UNDERSTAND THIS AGREEMENT. I AM AWARE THAT BY SIGNING THIS DOCUMENT I AM WAIVING CERTAIN LEGAL RIGHTS, INCLUDING THE RIGHT TO SUE, WHICH I OR MY NEXT OF KIN, HEIRS, EXECUTORS, ADMINISTRATORS AND ASSIGNS MAY HAVE AGAINST DREAM GYMNASTICS ACADEMY AND OTHERS. AND, I, the minor(s) parent and/or legal guardian, understand the nature of the above referenced activities and the minor's experience and capabilities and believe the minor to be qualified to participate in such activity. I hereby release, discharge, covenant not to sue and AGREE TO INDEMNIFY AND SAVE AND HOLD HARMLESS each of the Releases from all liability, claims, demands, losses or damages on the minor's account caused or alleged to have been caused in whole or in part by the negligence of the Releases or otherwise, including negligent rescue operations, and agree that if, despite this release, I, the minor, or anyone on the minor's behalf makes a claim against any of the above Releases, I WILL INDEMNIFY, SAVE, AND HOLD HARMLESS each of the Releases from any litigation expenses, attorney fees, loss liability, damage, or cost any Release may incur as the result of such claim. I give my permission for Dream Gymnastics Academy to transport any participant(s) listed above by automobile if they are registered in such activity that requires transportation.